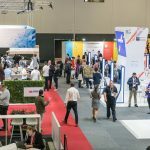 A Cyber Security Conference and future-focused StartUp Conference rounded out the three days of Asia Pacific’s largest business technology exhibition, CeBIT Australiawhich was held at ICC Sydney this week. The Hon. Angus Taylor, MP Minister for Law Enforcement and Cyber Security, Australian Government opened the Cyber Security Conference, warning that organised crime has previous impacts on our society with 2% of Australian GDP linked to organised crime and the rates are increasing, with 1 in 50 economic actions related to crime, and most of them not originating from Australia. Between 2016 and 2017 there was a 30% increase in global security breaches across the world, with an average of 130 breaches per company he reported. The solution, Minister Taylor remarked, is to focus the efforts on specific activities and work towards four major goals; to sharpen the focus on cyber infrastructure, to develop a system of national security where the government and private sector work together, to form legislation specifically for cybercrime, and to raise awareness amongst SMEs and the public on the real threats we are facing. Budding tech entrepreneurs attended F’Up Night, on Wednesday 16 May, which featured three founders of tech businesses sharing the major mistakes they made along the way and what they learned from them. First time exhibitor 8×8 joined CeBIT Australia this year due to the focus on innovation. Brendan Maree, VP of Asia Pacifics, said people are coming to CeBIT to see what is new to keep developing their competitive advantage. “We’ve met lots of people who are looking for cloud technologies, so we have met the right type of people here for our business, and that has driven some really good opportunities for us,” said Mr Maree. PitchFest 2018, saw ten StartUps go head-to-head in a ‘shark-tank’ style competition, where a panel of four entrepreneurs judge the winning company. Deputy Premier and Minister for Small Business John Barilaro said the quality of finalists for PitchFest was outstanding, which demonstrates how the StartUp sector is creating innovative solutions to improve all sectors of the economy. Ping Data took out the top prize of PitchFest, winning a prize package valued at over $20,000; comprising of a fully-paid exhibition stand at CeBIT Australia 2019, three Square Contactless and Chip Readers from Vodafone, a Norton Small Business – 10, which protects 10 devices for 12 months, a $10,000 USD Alibaba Cloud credit valid for one year, three months free co-working space at Tank Stream Labs in Sydney, a one-year membership to TIE Sydney, and ongoing support and mentorship. “Ping Data has been assisted by the NSW Government-backed Jobs for NSW to develop its technology and was one of nine NSW finalists for PitchFest, so this is a great result for our technology sector,” said Mr Barilaro. 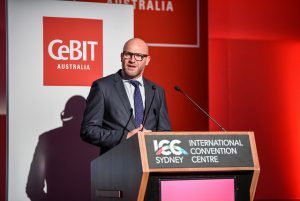 Harvey Stockbridge, Managing Director, Hannover Fairs – organisers of CeBIT Australia, said CeBIT Australia 2018 has been a remarkable success. “We’ve been able to reveal a variety of powerhouse companies and StartUps, both domestically and internationally at CeBIT, and we are thrilled with the new connections and business opportunities that have already been ignited here. “CeBIT plays a vital role in bringing together investment, talent and ideas under one roof, with a platform designed to engage. 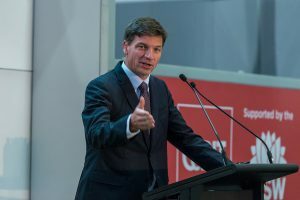 “Many of the initial conversations taking place at CeBIT will translate into exciting new businesses, jobs and solutions that we will all benefit from,” said Mr Stockbridge.